Are Negative Emotions Causing You Physical​ Pain? There Is No Magic Migraine “Diet” – Just Eat Real Food! What Is Self-Care And Why Is It Essential? 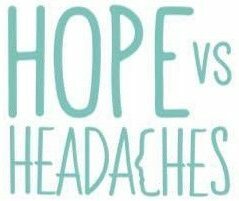 Enter your email address to follow HopeVsHeadaches and receive notifications of new posts by email. Recently I have had a lot going on so my food prep has not been my top priority. And because of this I have felt so out of balance. The food we put in our body really contribute to our moods and our energy levels. . So this week it’s been back to making food a priority. Do you feel good when you are on top of your food prep? Could Your Lack Of Boundaries Be Causing You Physical Pain? No More Chiropractor Or Physio – Release Your Neck and Shoulder Tension All By Yourself!